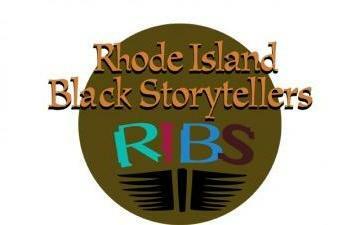 Founded in 1998, (RIBS) Rhode Island Black Storytellers is a small and powerful non-profit based out of Providence, Rhode Island, RIBS is dedicated to promoting the awareness, appreciation and application of black story telling in Rhode Island through performance, educational, and cultural experiences. RIBS defines Black storytelling as an oral art from African and African descended people from around the world. They do it not just because they believe it is important for Black communities to know their own history and culture, but for everyone to experience Black culture presented by Black people. Storytelling is a long-held Black tradition and art form that traces its roots back to African storytelling traditions. African captives used storytelling as a way to preserve their heritage. In traditional African societies, a griot or storyteller had the responsibility of telling and passing down the stories of the people’s history and culture. Modern storytellers continue this tradition by nurturing a sense of community through their storytelling. The stories told include historical tales, spiritual and personal stories, as well as folktales, legends. Funda means to teach and to learn in Zulu and KiSwahili. For 21 years RIBS has presented this signature week long event across Rhode Island. Local tellers and invited national guests perform in schools and public venues, reaching over 5500 people. For Through our Storytellers in the Schools Program, storytellers present 45-minute cultural programs in schools. This past year we had 44 school performances (last year 41) in 30 schools across RI (up from 24 last year) and 3 libraries. The interest is growing! Our challenge is to provide programs for schools, which lack funds, yet have large Black populations. RIBS wants Black children to be exposed to Black artists who share Black history and culture through storytelling. Research shows that people who know their history and culture are happier, better adjusted, and more likely to succeed later in life. All students will benefit from the programming. Our tellers present alternatives to the dominant narrative about Black folks presented in much of the daily media young people are exposed to. Present 50 school performances in 40 schools across Rhode Island with the major focus on Providence schools. Present storytelling workshops for community members, and teachers who have little or no knowledge of black culture. Bring regional and international storytellers to Rhode Island to present culture storytelling. Annually, Rhode Island Black Storytellers (RIBS) reaches thousands of children around Rhode Island through their annual storytelling festival, Funda Fest. We travel to a number of elementary schools, middle schools, and libraries around the state and want to deepen our impact on our community. Executive Director of RIBS and Funda Fest Founder, Valerie has been telling stories in schools, churches, libraries, festivals and conferences since 1991. She draws her stories from around the world with an emphasis on African traditions. She graduated from Brown University with a Master’s Degree in Theatre Arts and a degree in a self-designed Major-Storytelling as A Communications Art. "Help Us Tell Our Stories,"